It’s Christmas time, and time to decorate. I’m loving all things white, vintage and cute this year, and this little project ticks all three boxes. This might one of my cutest ideas ever. 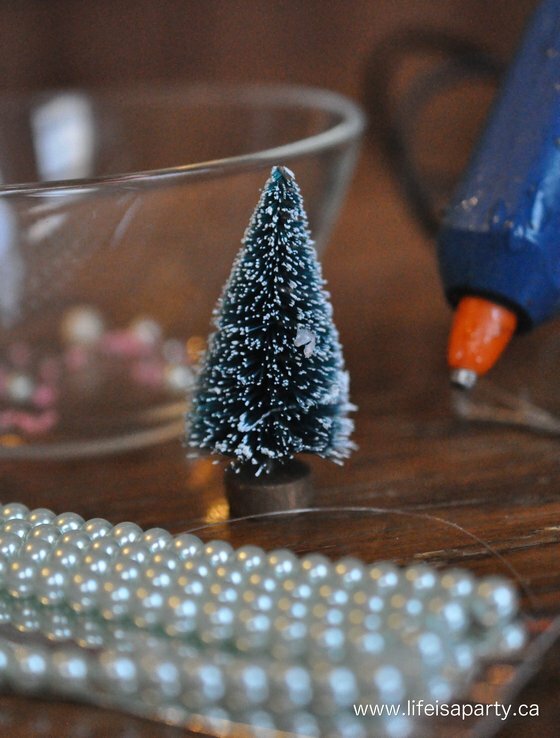 I’m kind of in love with this little Christmas project and it’s super easy too. 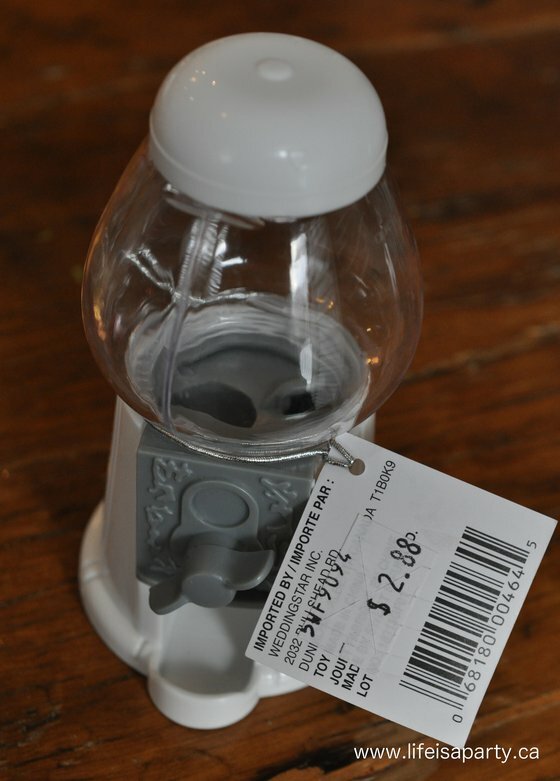 I started out with a little plastic gum ball machine. I’ve seen them at second hand stores, and traditional red would be cute for Christmas too. I wanted a little white one. I found this one, recommended as a wedding favour, in white for $2.88 I like the mini size -this one is about 12 cm tall. 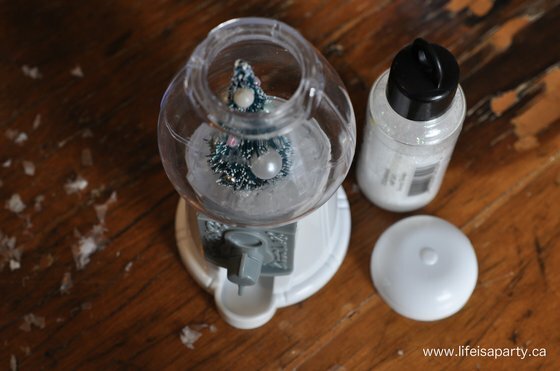 The plastic top comes off, so it’s easy to make a little snow globe scene inside. Since it’s a real gum ball machine, I used a little white paper to make a base for the tree. I decorated a little bottle brush tree with a few pretty beads, just glued on with some hot glue. Then I glued the tree onto the paper base. It’s great to be able to create that vintage feel, with the bottle brush tree. It’d be cute in other colours too. With the clear plastic piece back in place, over the tree, I removed the white top to add in some faux snow and some glitter (because Christmas needs a little sparkle). 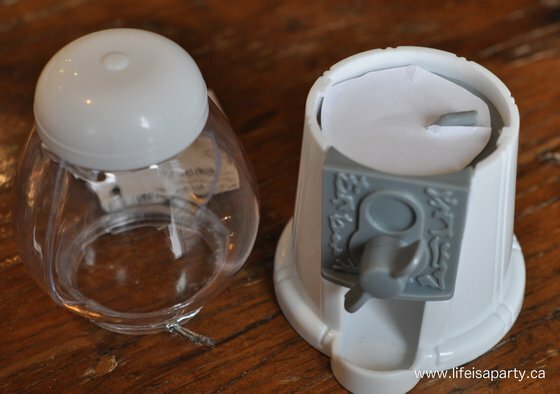 Then, just twist the white lid back on. So simple. So sweet. I love how the beads I used look a little gumball-ish too. We’ve had a light dusting of snow here, yesterday afternoon, and there’s still some on the ground this morning. 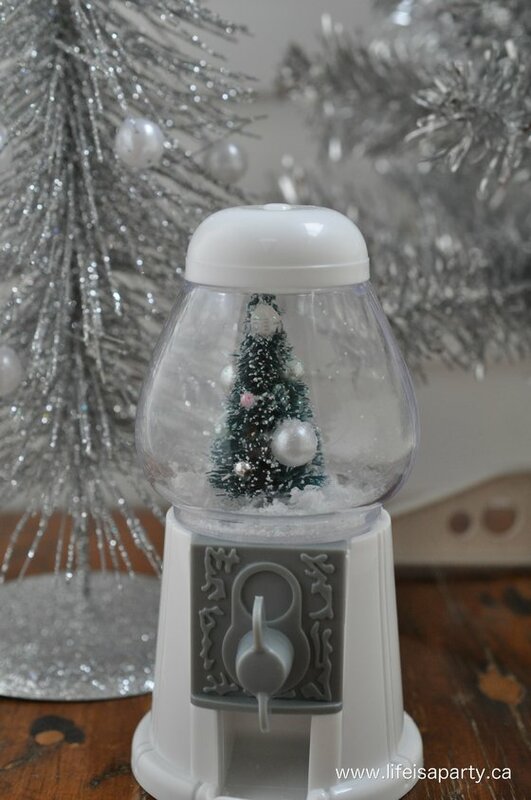 This little snow globe seems perfect for today. 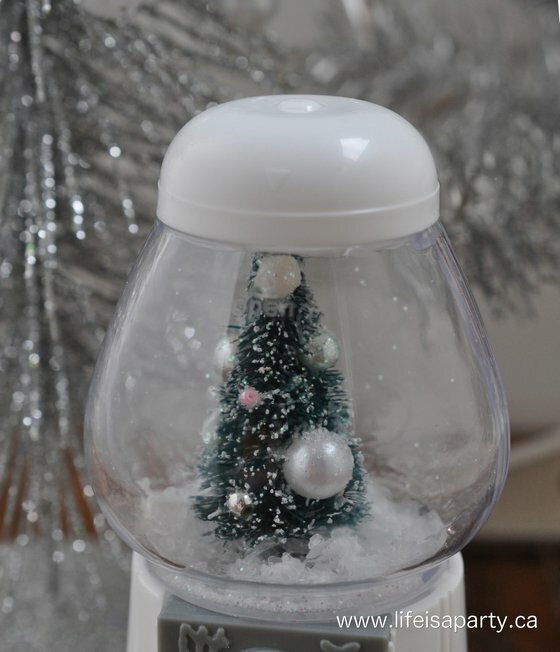 With a pretty little gumball snow globe like this for Christmas, life really is a party. This post is linked up at Craftberry Bush’s Inspiration Gallery, Tatertots and Jello’s Link Party Palooza, Liz Marie Blog, Flamingo Toes, The Sunday Showcase Party, Mod Vintage Life, Monday Funday, Twigg Studios, and The Party Brunch. Found you through the Linky Party and my 13 yr old daughter and I fell in love with project!! She collects snowglobes and now we have another project to work on. So glad to have found you. Thanks. That is just delightful! I love the whimsy and the white! 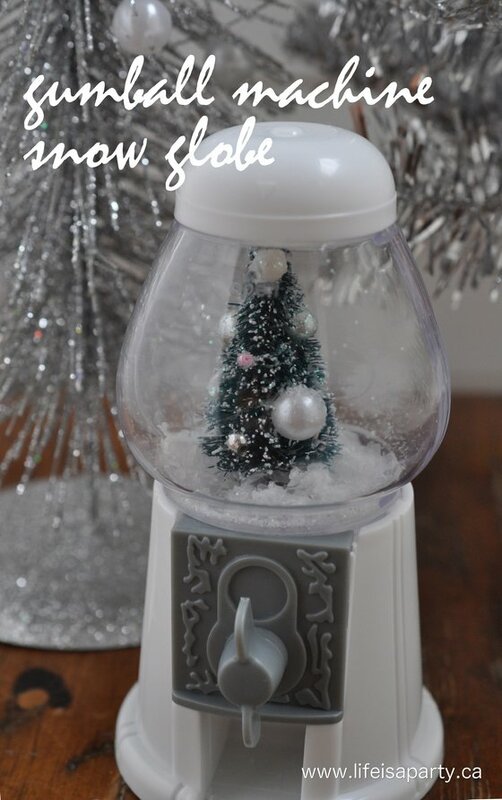 Now this is a cute “spin” on the homemade snowglobe! I love it…. so cute – and such a unique idea…. now I have to search for a gumball machine…. Wow! That is so cute! Great idea! So cute. Thanks for sharing! Aw, that’s cute – very clever of you! So cute! I love that it’s a little different. Very sweet idea… and original! This is soooo cute! Pinned and shared on fb!